Ask anyone who’s known me for any length of time and I think they’d all agree that decision making is not one of my strong points. 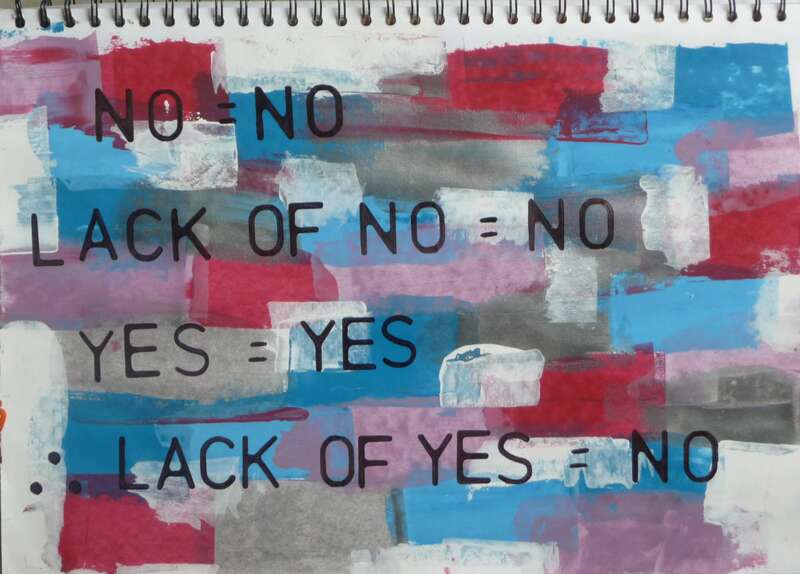 When I’m not sure of what to do I tend to go back and forth between “yes” and “no”, analysing each choice and coming up with reasons to go for/not go for either. There was a time when I would decide to do things that I thought were good for me, even when I didn’t really want to. Sometimes I decided on the basis that I knew I would enjoy it if I did it and sometimes I did enjoy it and sometimes I didn’t. For years I came from the perspective that there was a “right” decision and I hoped that by thinking about it and looking at the pros and cons I’d work out what that was. None of these tactics were very successful so decision making has always been a bit of an agonising process for me, further exacerbated by the idea that “I don’t know what I want”. More recently, however, I’ve been practising making decisions on the basis of a feeling about the options as opposed to relying on analysis. I began to notice that sometimes a certain choice just feels right and when I follow that feeling I’m home and dry. When I say “it feels right” I mean, literally, it simply feels right as opposed to I think it’s the right decision. That’s an important distinction because sometimes it feels right but makes no sense whatsoever when I think about it. Sometimes it’s an obvious “woo hoo” type of “yes”. Sometimes it’s a more subtle, gentler type of “mmmm OK”. It’s not always easy to find that feeling though because, I’m so used to analysing things, it can be buried under a mountain of thought before I’ve even registered it. Then once I’m in that busy head space no amount of thinking about it will bring me back to the feeling, or make the choice an obvious one. This process has been running recently with the decision of whether or not take part in the Brighton and Hove Artists Open Houses Festival. In this moment I can see that ever since the idea was first suggested to me, although it’s been a definite possibility and one that might be fun, at no point has there been a clear “yes” from the quiet, still place. I’ve been very, very surprised at the amount of encouragement I have received from the people around me. There have been offers to join in, help run it, sell tea and cakes and even to pay half the cost towards it. All of which has made it even more difficult to find the quiet feeling. It’s so easy to interpret all the buzz as an indication that it’s the right thing to do. Is that just magical thinking or is it a sign?! Recently I was talking to my friend Tony who would co-organise the Open House with me, should we decide to go ahead. He has very similar feelings to my own – one day excited at the prospect, another, not so much. We talked ourselves into a position of deciding to go for it for all sorts of logical and rational feelings. The plan was that he would come round today and we would sign up. However, when I woke up this morning I was back in the quiet space where there isn’t a definite “yes”, or “no” for that matter. So . . . what do I do when, even in the quiet place there seems to be no clear answer? . . .